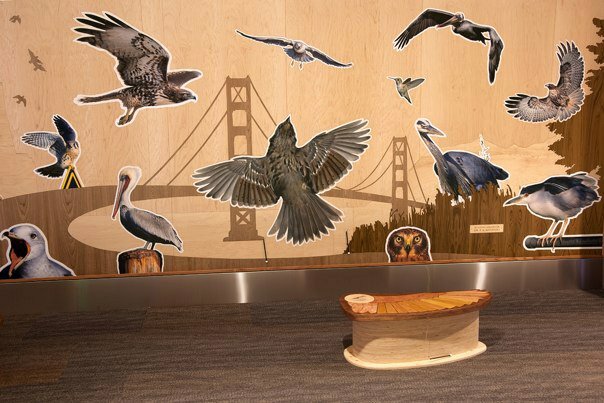 Printer Tallulah Terryll and the team at Magnolia have been working around the clock to complete a public art commission for the Ed Roberts Campus in Berkeley, a new office complex and community center serving people with disabilities. The project consists of handmade tiles, glazed and fired using a technique developed at Magnolia Editions, bearing artwork created by a variety of artists from all over the world. Terryll completed this ambitious and labor-intensive project with the help of Magnolia employees Kevin Frances and Ken Jensen, and ceramics expert Mikael Kirkman of Bicycle Coffee. The tiles will be unveiled at the grand opening of the Ed Roberts Campus on April 9, 2011, at 1 pm; check their website for the full details. See below for a sneak preview of some of the completed tiles (click any image to enlarge). 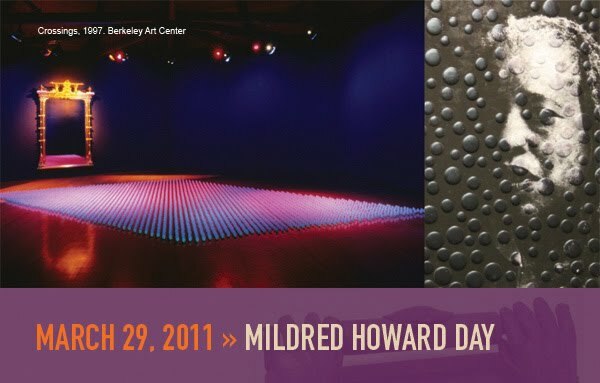 The city of Berkeley has announced it will declare Tuesday, March 29, 2011 to be Mildred Howard Day! Howard will be honored at Berkeley City Hall Chambers (2134 Martin Luther King Jr. Way, Berkeley) at 7 p.m. this Tuesday the 29th. Howard, a San Francisco-born artist whose work is at the Oakland Museum of California, the de Young, SFMOMA, the San Jose Museum of Art and elsewhere, has founded educational programs, managed an art and communities program at the Exploratorium, and was executive director of the Edible Schoolyard. She's been involved with nearly every university and art institution in the Bay Area and has also worked in Alameda County Juvenile Hall and in various Bay Area jails. Howard has lived in Berkeley since 1949 and has lived a uniquely engaged life; as a teenager, she shook hands with John F. Kennedy and had lunch with Fannie Lou Hamer, and recalls seeing Muhammad Ali shadowboxing his way down Adeline one morning in the early 1970s. She was a member of SNCC and CORE, protested segregation in Berkeley schools, and continues to work with youth and emerging artists both in the Bay Area and internationally. The event is free and open to the public; please come show your support for Mildred! 75 5/8 x 41 5/8 in. 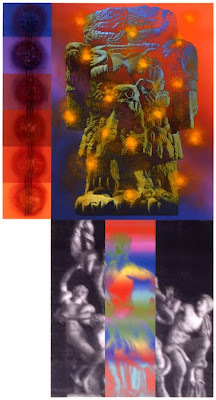 In putting together the catalogue for "Rupert Garcia: the Magnolia Editions Projects 1991-2011" (on view at San Francisco's de Young Museum until July 17, 2011), we realized that there were numerous prints and mixed media works by Garcia that were not yet on our website. 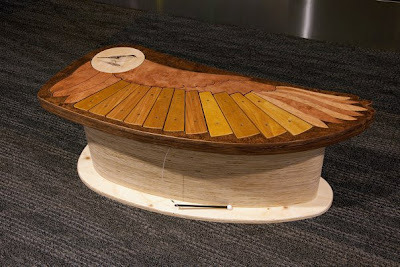 We've updated Garcia's page with almost 30 artworks from the last two decades. Please have a look, and don't miss the de Young show!